This is a fairly comprehensive document designed from the perspective of the client rather than the supplier. The Equipment Supply Contract comprises a one-page Form of Agreement, Terms & Conditions, and two Schedules setting out details of the equipment to be supplied and installed plus the contract price and payment details. 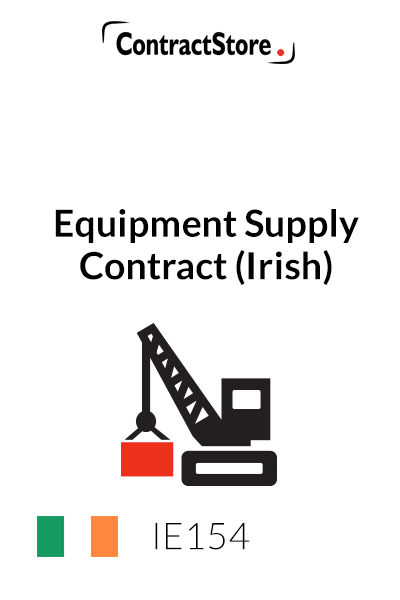 This Equipment Supply Contract is compatible with the recently revised Irish construction law. A useful agreement if you are a home owner or developer wanting a contract with a company to supply and install equipment. 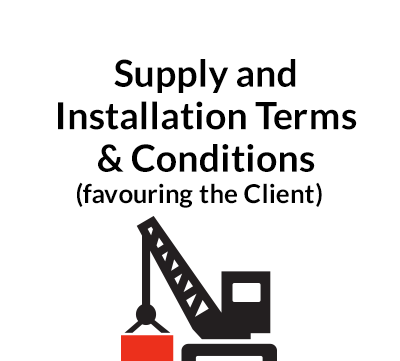 This contract is for use by a developer or home owner who is entering into an agreement with a company to supply and install equipment. The contract can be used for a wide variety of supplies e.g. central heating system, kitchen equipment or conservatory. This document is designed for use in Ireland. For the equivalent contract for use where English law applies, see our document B154. 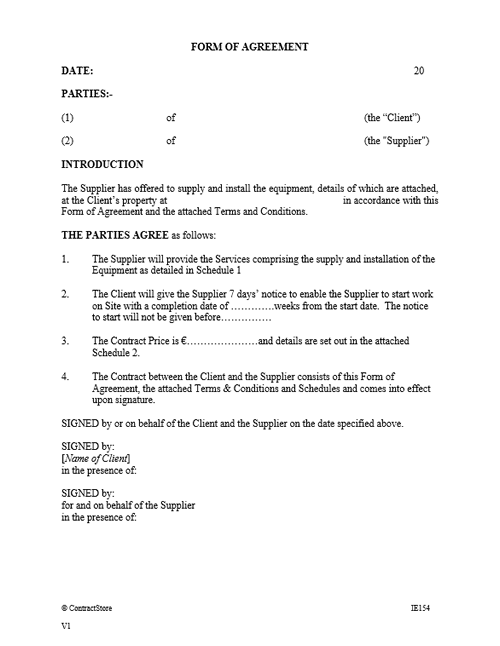 This contract is fairly balanced but written more from the perspective of the client than the supplier. 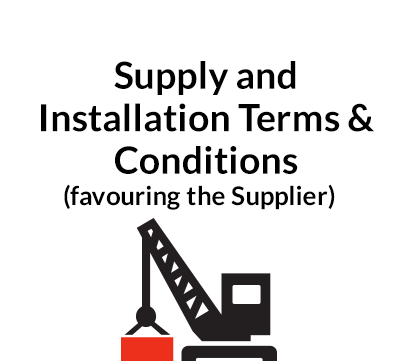 The contract comprises a one-page Form of Agreement with Terms & Conditions, plus two Schedules setting out details of the equipment to be supplied and installed plus the contract price and payment details. The Terms & Conditions contain 13 clauses dealing with such matters as work on site, price and payment, changes and delay, completion and defects, insurance and indemnity, termination, and resolution of disputes. The contract terms are easy to read and largely self explanatory. The Schedules need to be completed with all relevant details and our template contains some indicative sample wording. For general guidance on issues that need to be considered in the contracts for a building project, see our free document Guidance Notes for a Home Builder Z165.